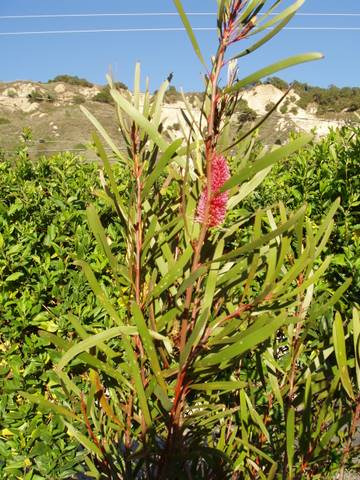 Tall shrub or small tree with cream-pink to red-pink flowers appearing in winter. Very ornamental. Requires well-drained soils in hot sunny position. Hardy to moderately heavy frosts. Prune when young for bushy growth habit. Attracts hummingbirds and can be used as a cut flower. Useful hedge or screen or hardy landscape shrub. Now classified as H. francisiana syn Hakea coriaceae.